Emergencies never seem to occur during convenient hours of the day. If your life is like ours, you are very busy during the day tending to work and family and in the evening you just want to wind down with your loved ones. In the midst of all of this activity, your pet suffers a mystery illness or injury and you need your veterinarian to be available right away, not the next day. 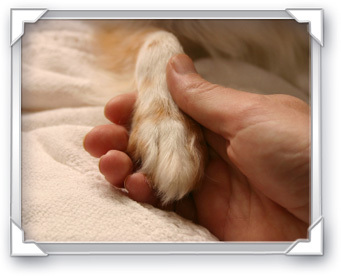 Chesterfield Veterinary Center believes that an important part of being your family's veterinarian is making sure you are covered 24 hours per day/seven days per week with access to emergency care. During our regular business hours our fully trained doctors and technicians are equipped to handle most emergency situations. We do ask that you call prior to coming in, if possible, so that we can be prepared for your arrival or refer you to an emergency veterinary practice if your pet is suffering a particularly severe emergency. For after-hours emergency care we offer 24-hour emergency support through our Emergency Helpline, which is manned by a doctor or technician at all hours. For emergency support, please call us at: (314) 266-9838.